COFEO SERVICES, A BUSINESS THAT DARES TO INVEST IN THE FUTURE! 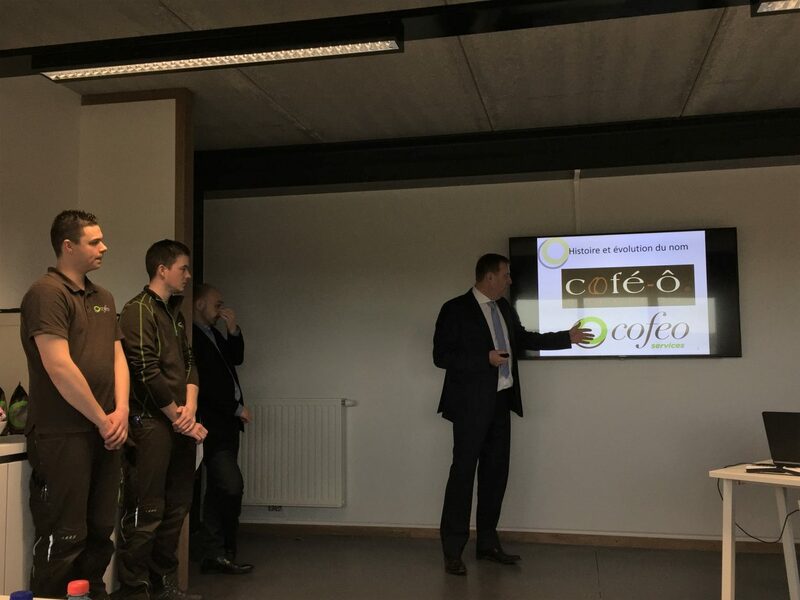 09/03/2018 COFEO SERVICES, A BUSINESS THAT DARES TO INVEST IN THE FUTURE! 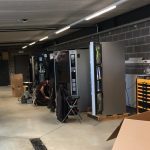 This business, originally from Lincent, set up temporarily in Eghezée and wanted to invest in its own infrastructures in order to guarantee its growth: it acquired a site in Ecolys and settled there in 2017. A park like Ecolys which places the emphasis on the environment, sustainable management, etc. appeals to them greatly. This step is sure to be followed by an extension before long. This independent family business specialises in providing automatic dispensing machines. Its customers are mainly private businesses as well as public corporations, hospitals, rest homes, universities, colleges, the education sector in general, etc. A few figures: a turnover of over EUR 10 million last year, 64 FTE (doubled in five years) and investments totalling over EUR 5 million in 2017. Its special feature is that it invests substantially every year in order to integrate digitalisation into its appliances which, all in all, are fairly traditional. Together with its Italian and Dutch partners, it develops new functionalities every year so as to manage its services more efficiently. This applies in particular to telemetry, technology which makes it possible to measure the stock level of all the products, the cash level and the condition of the machine from a distance in order to be able to intervene promptly. In 2017, it brought out the first cashless payment box that offers the choice of payment by card or mobile phone but also using keys and badges. In 2018, the focus is on e-commerce for its customers. This makes it possible to draw up delivery and repair schedules day by day, thereby saving a great deal of time. The company and its management are also characterised by the efforts made to ensure that the entire team, whatever their age, fully support this great human adventure. Staff and management alike are keen to move forward, developing and satisfying their customers thanks to their quality service. At a press conference held on 9 March 2018, two young technicians declared that in this fine company, everyone has their own place thanks to their skills.